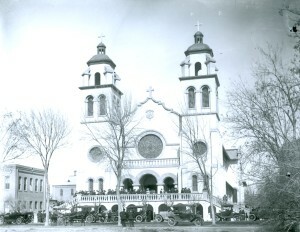 St. Mary’s Basilica, named The Church of the Immaculate Conception of the Blessed Virgin is the oldest Catholic parish in Phoenix. It holds a unique place in the history of the Church and in the diocese. In 1978, it was listed on the National Registry of Historic Places. On September 2, 1985, His Holiness Saint Pope John Paul II solemnly proclaimed the Church of the Immaculate Conception of the Blessed Virgin Mary to be a Minor Basilica. 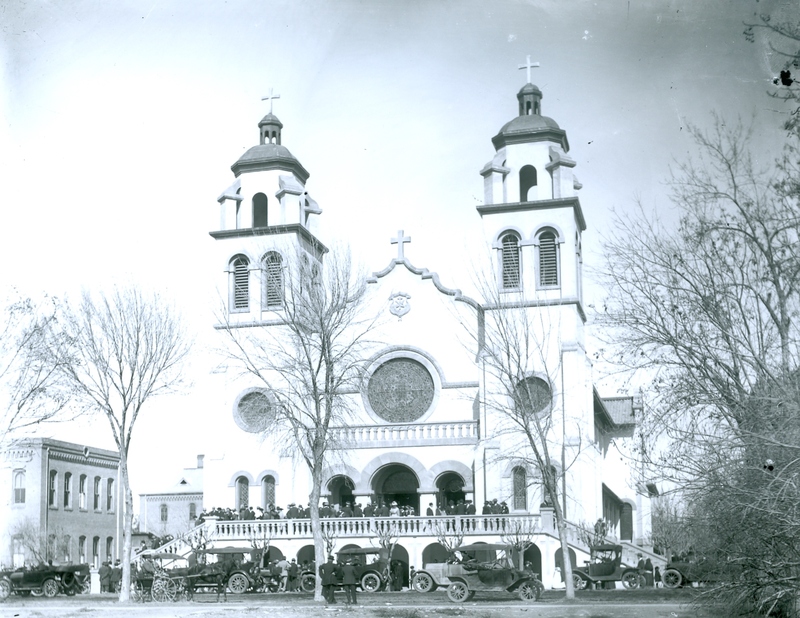 At that time, for historical, cultural, artistic, and spiritual reasons, St. Mary’s became the 32nd basilica in the United States. While on his American Visit, His Holiness Saint Pope John Paul II visited St. Mary’s knelt in prayer in the center aisle and then spoke to the crowd from the balcony on September 14, 1987. In 2015, we celebrated the Centennial of St. Mary’s Basilica. Although St. Mary’s is a strong and solid building, there are on-going issues that need to be addressed. Your contributions to our Building Fund will help us to establish a reserve for our current and future repairs and special projects. Unlike the regular Sunday Collection, which is used to meet normal operating expenses, all Building Fund donations are specifically designated for improvements, repairs, and special restorations projects. Online Giving allows you to make contributions to our church without writing checks or worrying about cash donations. The “Online Giving” button lets you make a one-time donations or set up automatic contributions and change the timing or the amount of your gift at any time for the Building Fund. Please click on “Online Giving” and follow the instructions to register your account and to contribute to the Building Fund or to simply make a one-time donate as a guest.